A couple of months ago, completely out of the blue, I received a message from Premshree of polkadotsocks.net. He mentioned he would be visiting Amsterdam, and wondered if I’d be interested in sharing a meal together. It’s always fun to meet food bloggers from other countries. I proposed we’d cook together, since I’d love to learn a bit more about Indian cooking. We agreed that I’d make something Italian, while Premshree would make something Indian. 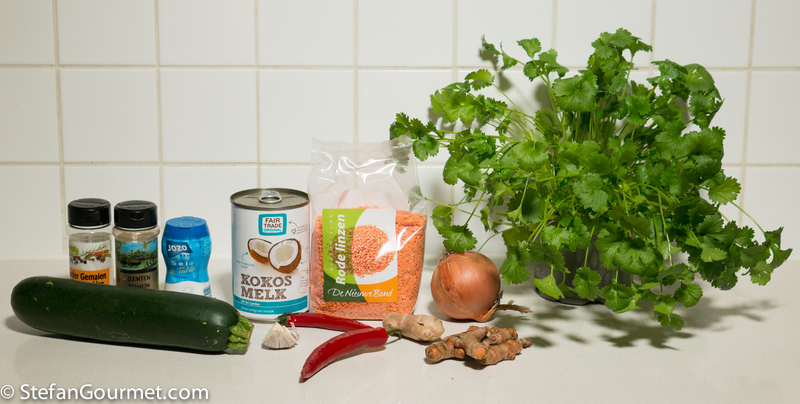 He ended up making a coconut red lentil curry and it was very good. It seemed even better the next day, when I had the leftover curry for lunch. Here’s what he did. 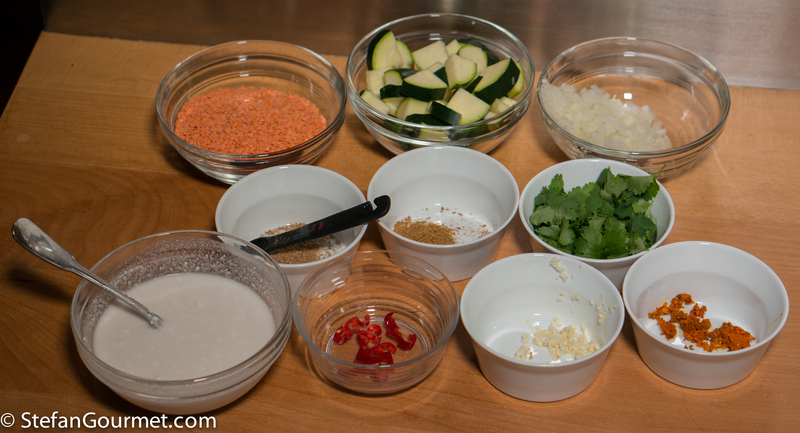 Premshree was very meticulous about mise en place and prepared all the ingredients before starting. 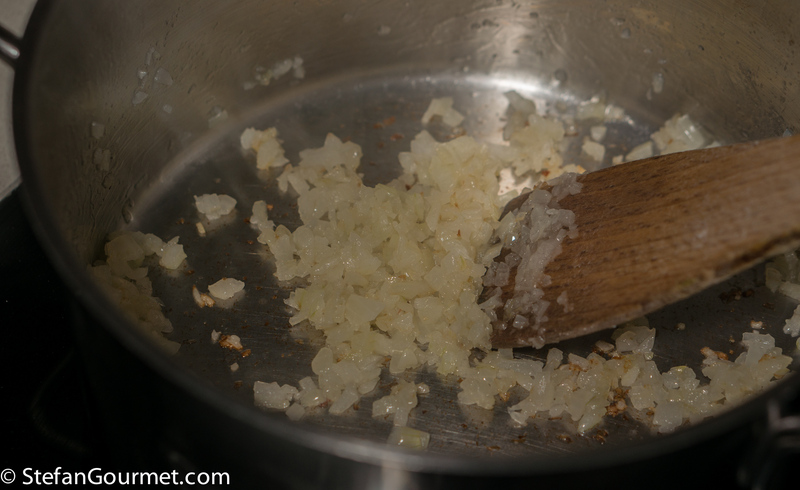 He scooped 2 tablespoons of coconut cream that floated on the top of the coconut milk, and used it to sauté a small minced onion in a pot. 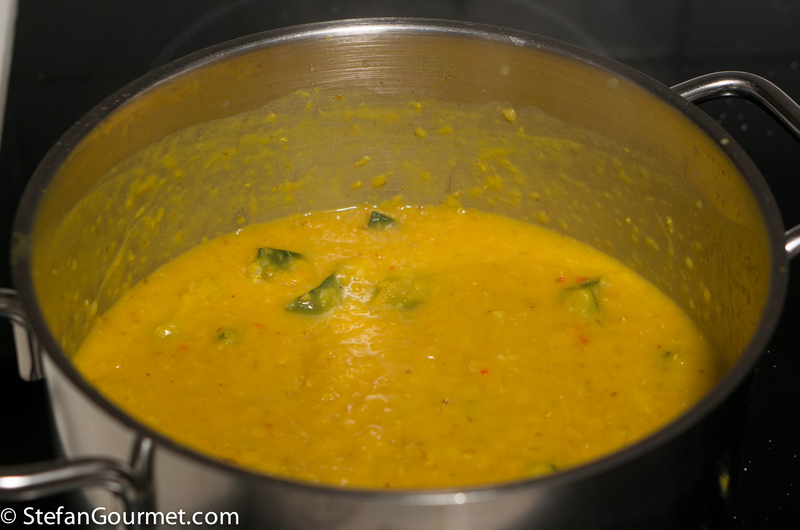 When the onion was starting to get golden, he added 1/2 Tbsp grated ginger, 1 minced clove of garlic, 1/2 tsp ground cumin, 1/4 tsp ground coriander, 1 Tbsp grated fresh turmeric, and minced chilli pepper. 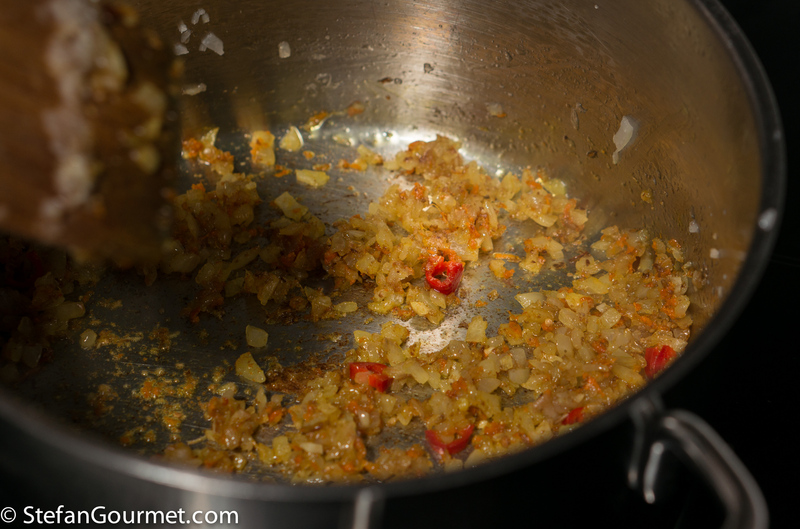 He stirred this over medium heat until the spices were very fragrant, and explained that in Indian cooking it is very important to toast the spices like this to develop the flavors. 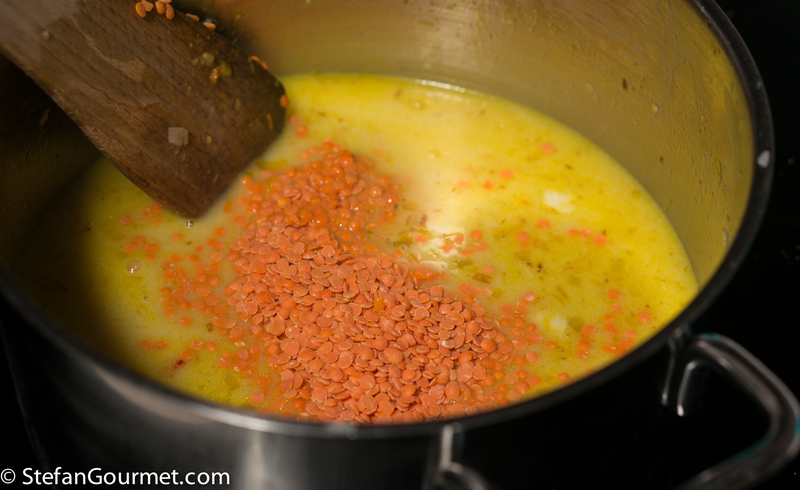 …and 140 grams of red lentils. 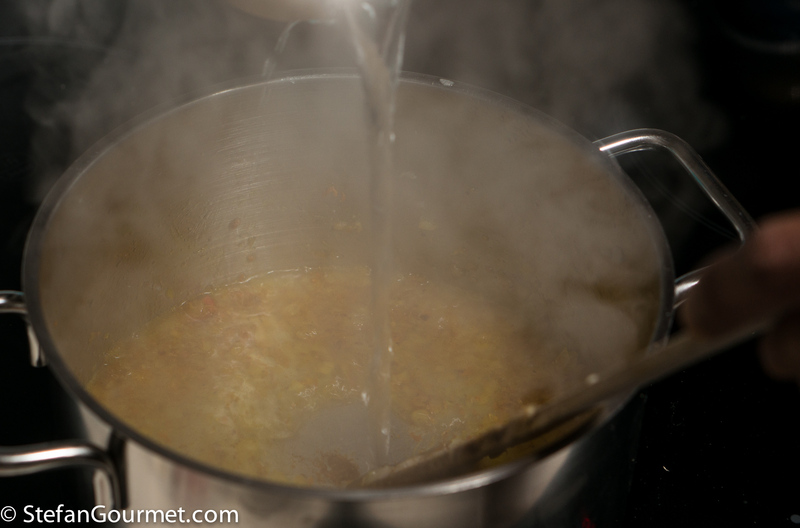 He brought this to a boil, stirring, and simmered it for about 5 minutes. 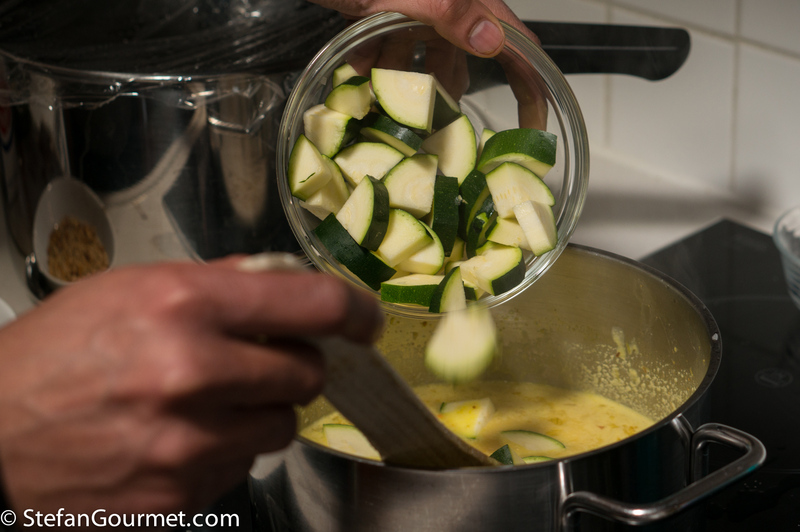 Then he added a chopped zucchini. 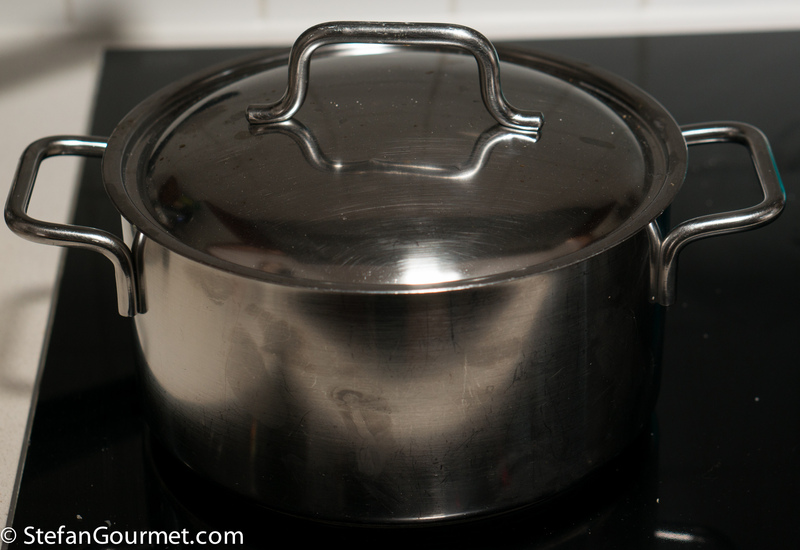 He covered the pot, and allowed the soup to simmer until the lentils and zucchini were done, about 15 minutes, stirring now and then and checking whether any more water was needed. Then we tasted and adjusted the seasoning with salt. Quite a bit of salt was needed to bring out the flavors. 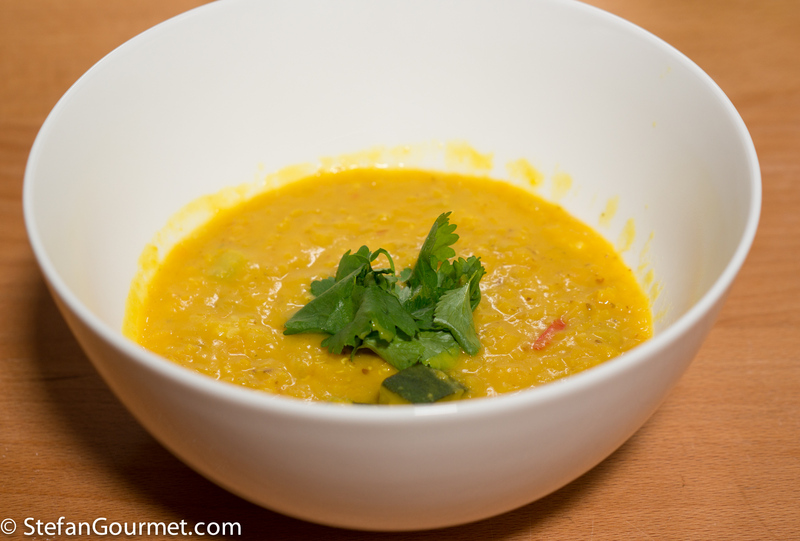 The coconut red lentil curry was then served with some fresh cilantro for garnish. 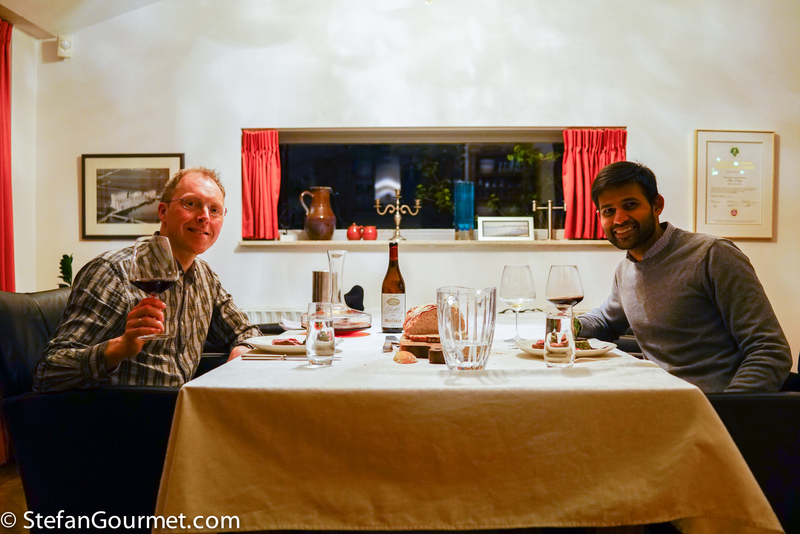 This was fun, so I’m already looking forward to the next International Food Blogging adventure. 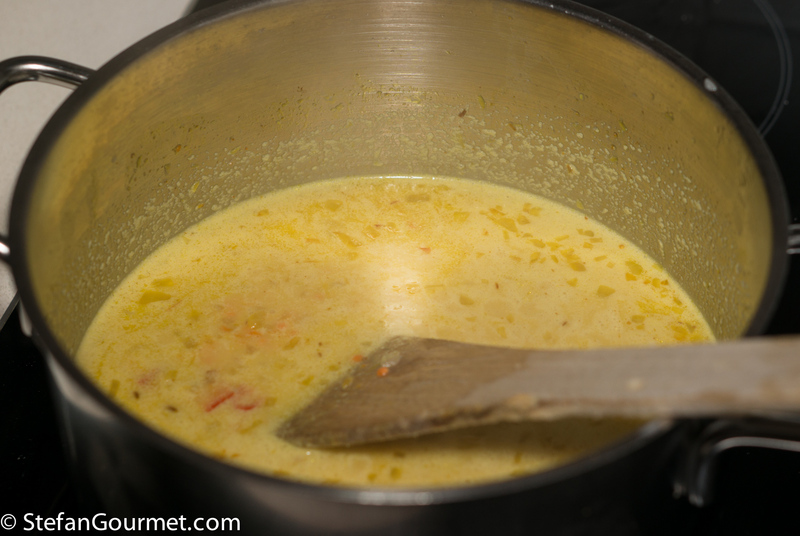 Prepare this favourite regularly but shall copy your recipe to the n-th degree and probably replace it with mine! It looks you had a great time 🙂 !! What fun! This looks delicious. Sounds delicious. I am a big fan of Indian cooking. You should definitely come over! I made ravioli (with the filling of tortellini from Bologna) and Rosa di Parma. I am going later this year, to Sardegna!